My HAIR STYLING services will help you find your own fabulous hairstyle. With a step by step styling routine you'll be able to maintain a great look outside the salon. Using products to enhance hair vitality and ensure integrity, you will feel at your best. CANCELLATION POLICY: As a courtesy, please notify me if you need to reschedule or cancel at least 24 hours before the beginning of your appointment, so that I may accommodate another guest. Clients with a late cancellation will be charged 25% of the scheduled service. No-Showing an appointment will be charged 50% of the scheduled service. Thank you for your understanding. NEW CLIENTS BY REFERRAL ONLY - PLEASE EMAIL ME FOR DETAILS. 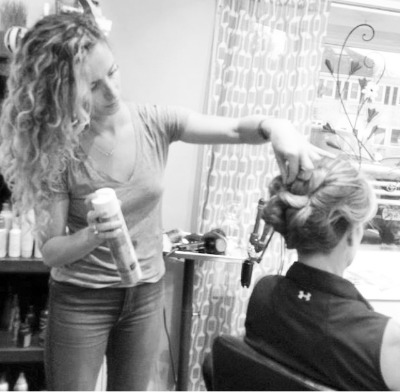 KATE WILL NOT ONLY MAKE YOU FEEL BEAUTIFUL ON THE OUTSIDE, BUT WILL ALSO MAKE YOU LEAVE FEELING BETTER ON THE INSIDE!